Hotel, Resort, & Hospitality Management, B.A. 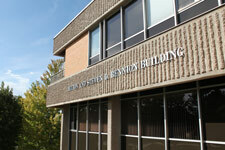 The School of Business has international partners in Europe, Latin America, and the Pacific Rim. Selected partners may be found on the following website: http://suu.edu/business/international-studyabroad.html# There are academic opportunities to study for short-term summer programs (2-3 weeks), for one term, or for an entire year which may result in a double degree. Consideration of such programs is based on a student’s GPA and adequate preparation for international study. Students can study at the Baccalaureate and Masters level. Contact the Sargon Heinrich Global Engagement Center at (435) 586-1995 or http://www.suu.edu/academics/studyabroad/. Undergraduate and graduate business programs (ACCT, FIN, MGMT, MKTG, MBA, MAcc) in the School of Business are accredited by AACSB International – The Association to Advance Collegiate Schools of Business and ACBSP – the Accreditation Council for Business Schools and Programs. Terrel H. Bell Teaching Incentive Loans are awarded for eight semesters of study to deserving Utah high school graduates who are entering the teaching profession in the state of Utah and who maintain a 3.0 GPA. These scholarships provide for payment of tuition and fees. Repayment is waived for each year an applicant teaches in the State of Utah. The deadline for submitting applications for the Terrel H. Bell Teaching Incentive Loan is March 31. Interested high school students should contact their principal or superintendent about the scholarship. Interested transfer or continuing students may contact SUU’s Education Department at (435) 865-8320, OM 312. The College of Performing and Visual Arts (CPVA) offers undergraduate degrees in the departments of Art & Design, Music, and Theatre Arts & Dance. In addition, we offer a comprehensive MFA graduate degree in Arts Administration. The curriculum and the effort of the highly qualified faculty and dedicated staff are further enhanced by affiliations with the Tony award-winning Utah Shakespeare Festival, the Braithwaite Fine Arts Gallery, the Halversen String Quartet, and the American Folk Ballet. Scholarship recipients are determined based on a portfolio of well-taken images on a CD, photos, slides, or actual portfolio. Applications can be found at: http://www.suu.edu/pva/art/pdf/artscholarship.pdf, or contact the Department of Art and Design, (435) 586-7962, e-mail artanddesign@suu.edu. Applications must be received no later than February 20 for the following fall semester. Departmental scholarships must be renewed each year. The Center for Shakespeare Studies (CSS) engages in academic research, literary dramaturgy, and programming focused on Shakespeare and his contemporaries. The Center facilitates interdisciplinary collaboration among faculty who teach in subject areas that parallel Shakespeare’s time and the larger historical scope of the Renaissance period. These subject areas include, but are not limited to history, politics, art history, music history, social and cultural history, philosophy, and literature and languages. The CSS is a scholarly resource for SUU faculty and staff, the Utah Shakespeare Festival (USF) and other faculty and scholars in the state of Utah, other universities nationally and internationally, theatre organizations and scholars, and educators in the intermountain West. 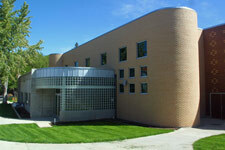 The Center is a part of the new interdisciplinary minor in Shakespeare Studies at SUU. The Utah Center for Arts Administration provides services and training for arts organizations and their managers in the Southern Utah region. The Center offers affordable consulting services such as marketing plans, audience surveys and development audits at reduced prices for arts organizations. The Center also offers seminars and workshops to help further the development of arts managers in Utah and the surrounding areas. The UCAA affords SUU Arts Administration students an opportunity to use the skills and training which they are developing during their studies. Goal: Prepare students for graduate schools and professional schools. Objective: utilize the valley Farm, Mountain Ranch, Cedar Mountain Science Center, Ashcroft Observatory, Dahle Greenhouse, Voyager Mobile Science Lab, High Performance Parallel Computing, Computer Forensics Lab, Networking Lab, Water Lab, Scanning Electron Microscopy Lab, Material Science and Fluids Lab, CNC Machine Shop, the Garth & Jerri Frehner Natural History Museum, the GIS lab, and the Keck Molecular Genetics and Ecology labs, Internships with industry and government, and Community Partnerships. Students are assisted in selecting appropriate majors and planning for courses through the joint efforts of faculty advisors, the Student Services Center and the College of Science & Engineering professional advisors: Ms. Brittney Berge, Science Center, Room SC 304, (435) 865-8703, brittneyberge@suu.edu; Ms. Sharon Brown, Engineering & Technology Building, Room 118, (435) 865-8702, brownsh@suu.edu, Mr. Brian Godfrey,, Science Center, Room SC 304B, (435) 865-8703, briangodfrey@suu.edu or Mr. Reko Hargrave, Science Center 304, rekohargrave@suu.edu. Cognizance and successful completion of graduation requirements, however, are the responsibility of the student. Scholarships are available to students demonstrating potential for excellence in disciplines within the College of Science and Engineering. During the 2011-2012 academic year over $125,000 in scholarships were distributed among College of Science & Engineering majors. Students must submit the appropriate applications by February 1. Interested students should contact Student Financial Aid, Sharwan Smith Center, Room ST 167, (435) 586-7735. The SUU Ashcroft Observatory offers college credit courses and weekly community astronomical viewing activities located near the SUU Valley Farm. Phone (435) 586-1409 or see http://suu.edu/cose/physci/physics/observatory for more information. The SUU Water Lab is a certified analytical lab that offers students specialized training in analytical techniques and services to the public for their water quality needs. The program provides opportunities for students in the following areas: Research, community service, job shadowing, patient exposure, MCAT/DAT/PCAT Prep, application assistance, enhanced advising, cultural immersion experiences in health care, medical skill training, Medical Spanish, and special seminars. Call (435) 865-8520 or see http://www.suu.edu/ahec/rhau.html for more information. The EDGE program is a University requirement for graduation with a bachelor’s degree. You can create any hands-on learning project you want and help decide how it advances your education. You can choose to connect your project to your major or you can pursue another area of interest. UNIV 1010 allows student to build a foundation for further exploration of EE option. The course helps student learn how to collect and store resources in their e-portfolio that will remain with them throughout their time on campus and beyond. UNIV 1010 is a “staging course” and is designed to help guide students through subsequent stages of the Experiential Education program. Every spring, Experiential Centers will sponsor “student focus weeks” where students will showcase their experiential work through displays, presentations, performances, etc. 2- University College serves students in their academic development and career preparation through centers and programs focused on transitional academic services: which include career preparation services, academic advising, and support programs for those on academic probation. All Academic Advisors report to the Director of Advising and the Associate Dean of University College; however each college advisor is trained to meet the needs of students in their respective colleges. 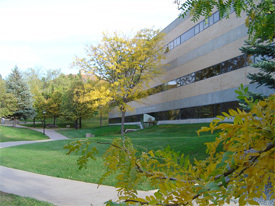 University College serves as the advising home for Open Option students, who are those students who have not yet decided or declared a major. Open option advising guides students through university wide academic expectations and helps move students forward in the decision making process of selecting a major. Please visit the Academic Advising page at: www.suu.edu/uc for more details. Quiet study space is available throughout the library including the Huntsman Reading Room and 12 study rooms which are equipped with computers and projectors for collaborative work. The School of Continuing and Professional Studies (SCPS) is committed to responding to diverse student populations as they discover and fulfill their potential in today’s rapidly changing world. Our programs expand the range of educational opportunities offered by the academic colleges on campus, at area and regional sites, through the use of current technologies and in convenient time frames. Programs administered by the School of Continuing and Professional Studies include off-campus sites, summer programs, weekend programs, courses delivered at a distance through the use of technology, in-service training opportunities for teachers, Community Education, and Out of State Programs. Continuing education offers traditional and nontraditional educational opportunities for all types of students. It works closely with the University’s academic departments and colleges and with professional, trade and special interest organizations. Options for lifelong learning are presented year round. Alternatives range from part-day workshops, and lectures to week-long credit workshops. Courses may be added to the schedule whenever sufficient interest is shown. Continuing education programs meet the needs of nontraditional students through convenient course scheduling, curricular flexibility, innovative, nontraditional teaching methodology, cooperative work/study arrangements, and specifically designed instruction. The School recognizes that most of its students/clients have work, family, and other personal and professional responsibilities which limit their participation in traditional college activities; therefore, convenience is a major factor in the design of continuing education programs. Full degree programs are scheduled at various outreach locations to meet the needs of rural Utah citizens. Evening classes, both on and off campus, plus a broad range of opportunities for study as well as numerous other community services and special projects are part of the School’s assigned role and mission. The Southern Utah University (SUU) English as a Second Language (ESL) program is a safe teaching and learning community designed to aggressively prepare students to succeed in English communication and in college life. We share the larger mission of SUU to engage students in personalized and rigorous experiential education, empowering them to be productive individuals, socially responsible leaders, high achievers, and lifelong learners. The Director of Distance Education in continuing education oversees the development and delivery of courses which utilize Internet and other emerging technologies to bridge the gaps of distance and time between teachers and learners. These courses are generally not delivered to specific predetermined sites. All 5000 level course are administered by the School of Continuing and Professional Studies under the supervision of the respective faculty. The 5000 level courses are offered in every subject area with the permission of the respective dean. Courses designed for career enhancement, professional growth, teacher recertification and lane changes are delivered by SCPS. A significant number of on-going programs for public school educators explore changes in educational philosophy, classroom management, student motivation and achievement. In-service programs also provide hands-on experience with current curriculum and teaching techniques. 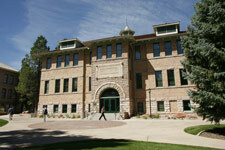 The SUU Office of Off-Campus Degree Programs delivers courses and degree programs throughout the southern Utah region. 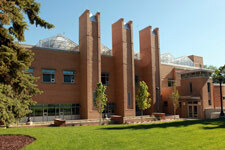 Graduate and Undergraduate courses are primarily offered at the University Center at Snow College South in Richfield and at Dixie State College in St. George. Delivery methods for the courses include university faculty members traveling to these distant sites, as well as technology mediated courses via the IVC/EdNet system and the Internet. Courses are available during the regular school day, in the evening, and on weekends. In collaboration with the University’s academic colleges and departments, the office also develops and manages special off-campus programs and courses for private companies and businesses in the region. Modern technology provides increased options for serving the campus student, off-campus student and community groups with teleconferences, interactive broadcasts via satellite and Utah Electronic College (UEN) telecommunication systems. The School of Continuing and Professional Studies invites you take advantage of new learning opportunities through innovative offerings in the areas of personal enrichment and professional development. Primarily non-credit courses and workshops, these programs are directed at a variety of audiences and their interests including languages, health, dance, computer skills, management and finance, culture and cuisine just to name a few. For information, call September Lutterman at (435) 586-7853 or email lutterman@suu.edu. Registration is also available through the Registrar’s Office or visit www.suu.edu/scps/commed/. Southern Utah University, School of Continuing and Professional Studies will offer the inaugural presentation of the Summer Snowbirds Program between July 15 and August 18, 2012. Snowbirds will provide participants opportunities to be involved in learning-based programs in morning and/or afternoon sessions, tours of local attractions, and a wide variety of other activities in the beautiful Cedar City area of breathtaking southern Utah. This is a chance to enjoy the mild climate, escape urban hustle and bustle and combine your visit with interesting learning-based courses. In addition to the learning-based activities there will be exercise programs and social functions each week. Presenters will include highly regarded members of our outstanding faculty with in-depth knowledge of their topics. Enrollment will afford participants access to campus facilities and discounts for area lodging, meals and more. Though this is our first offering, we are certain you will want to come back many times to see all of what we have to offer. The School of Continuing and Professional Studies acts as an innovative catalyst for the University by providing flexible educational opportunities that enhance economic, technological, and cultural development. Provides productive educational environment for programs that meet the adult professional learning and community and economic development role of SUU as a regional university. The ESL program will continue to grow in size and quality. We will obtain national accreditation and expect to grow to prominence as one of the best programs in the country. The Community Education program will continue to grow in size and quality with significantly more offerings as well as the implementation of the Summer Sunbird program. The Vegas effort will continue to develop, provide and enhance graduate level programs in partnership with the Center for Teaching Excellence (CTE) and the Clark County School District as well as develop efforts with CTE to expand programs to national markets. The role of SCPS will continue to expand our efforts to provide quality concurrent enrollment offerings to high school students throughout our region to help SUU further its efforts to support the 20/20 initiative in the state of Utah. If you have questions, contact the School of Continuing and Professional Studies, SUU Community Outreach Center:136 West Center Street, (435) 586-7850.